Ketoconazole is probably the single most effective active ingredient on the market for seborrheic dermatitis sufferers. True, it doesn’t work for everyone. No active ingredient does. But if someone is newly diagnosed with seb derm, there’s a reason so many doctors and dermatologists to a 2% ketoconazole shampoo. It’s one of, if not the, most effective active ingredients out there. It worked for me too. After years of not even knowing what I had, all it took was a diagnosis and a few washes with 2% ketoconazole and I have been set up for almost 20 years. At the end of this article, we’ll look at our favorite ketoconazole shampoos. But before I do that, it’s important to look at what ketoconazole is, any risks with using it, and how it helps your condition before recommending the best shampoos on the market today. How Available Is It In Your Country? What Are The Risks With Using Ketoconazole? Ketoconazole is an imidazole derivative, broad-spectrum antifungal. In the UK, a 2% shampoo is available to buy from pharmacies for treating seborrheic dermatitis or dandruff as several brands (Ketopine, Nizoral). If your symptoms are severe, your doctor might want to prescribe the shampoo to monitor the condition. When ketoconazole is used as a shampoo it’s not absorbed into the bloodstream, and so the antifungal effects are localized to the scalp . 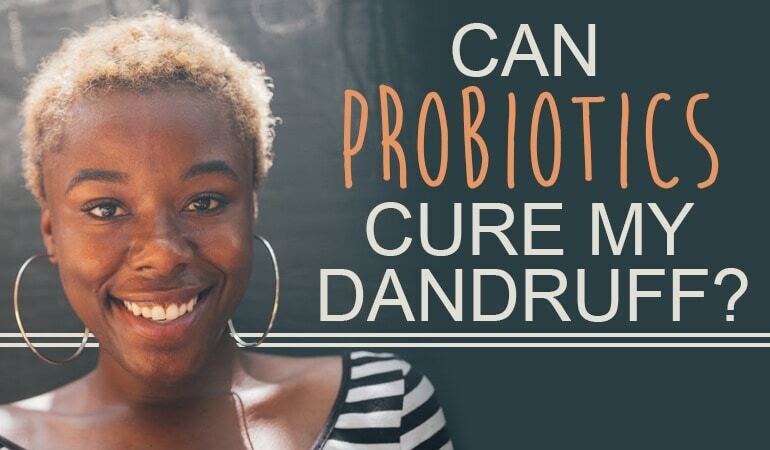 It works by inhibiting enzymes necessary for a fungus to synthesize steroids in the cell membrane. This leads to the cells becoming ‘leaky’ – unable to correctly regulate electrolytes – causing them to break down. 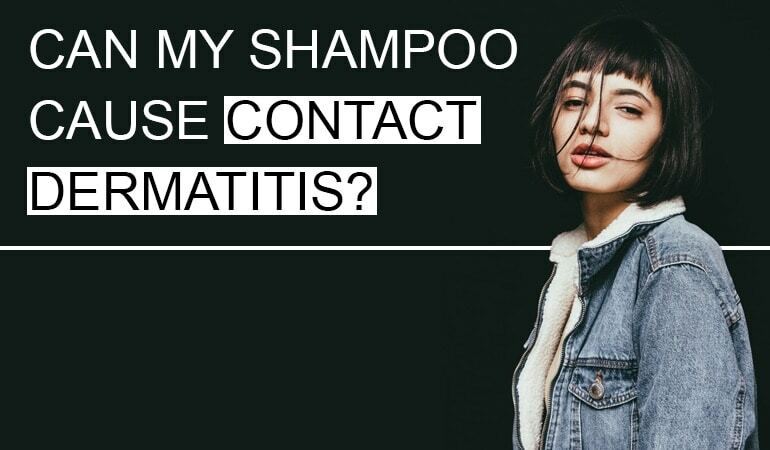 For scalp conditions associated with an underlying fungal infection, ketoconazole shampoos should generally be applied once or twice a week . The shampoo should be massaged over the entire scalp and left for 3-5 minutes before thoroughly rinsing – although products can vary, so you should always read the label! The oral formulation of ketoconazole was developed by Janssen Pharmaceuticals in Belgium – the company behind other well-known drugs such as Imodium and Daktarin! In 2013 due to the risk of liver toxicity, the UK Medicines and Healthcare Products Regulatory Agency (MHRA) formally recommended suspending the license for oral ketoconazole, advising doctors to discuss alternatives with patients . This recommendation specifically excluded topical formulations (e.g. shampoos, creams), because they are not readily absorbed into the bloodstream. Ketoconazole is one of the few active ingredients to be listed as an official anti-dandruff treatment both in the UK and the USA. The reason it’s so widely recommended is because it’s proven to be effective, particularly when treating seb derm. Numerous studies demonstrate its efficacy in treating seb derm. Among them, a 2015 Cochrane Review identified 51 studies covering over 9000 participants and found those using a ketoconazole shampoo were 31% less likely to have recurrent symptoms within four weeks compared to placebo . The analysis also found that ketoconazole was more effective than ciclopirox, and as effective as steroids – with significantly less adverse effects. A very recent study published in 2018  showed a 2% ketoconazole shampoo to dramatically improve symptoms of seb derm over 30 days of use – when used once every 3 or 4 days. Due to the overwhelming success of these studies, Ketoconazle is on the FDA’s approved list of dandruff treatments and in the UK, the National Institute for Health and Care Excellence (NICE) recommend 2% ketoconazole as a first line treatment for seb derm on the scalp. This recommendation is backed by the British Association of Dermatologists. Scalp psoriasis is an inflammatory condition, not typically associated with an underlying fungal infection. The first-line treatment for scalp psoriasis is a short course of corticosteroids. In the 1980s several studies showed that oral ketoconazole could be of some benefit in treating the condition, but the significant adverse effect profile and efficacy of corticosteroids prevented further research . The 1-percent ketoconazole products such as Nizoral are available over the counter. The stronger two-percent shampoo must be prescribed by a doctor in the USA. However, in countries like the UK or much of Europe, it is available OTC. The shampoo can cause irritation to the eyes, and so if accidental contact happens, they should be immediately bathed. Certain individuals are more susceptible to adverse reactions, and so a trial of selenium sulfide, zinc pyrithione, piroctone olamine, ciclopirox olamine, coal tar, salicylic acid, tea tree or any of the other active ingredients known to help dandruff may be more suitable alternatives. 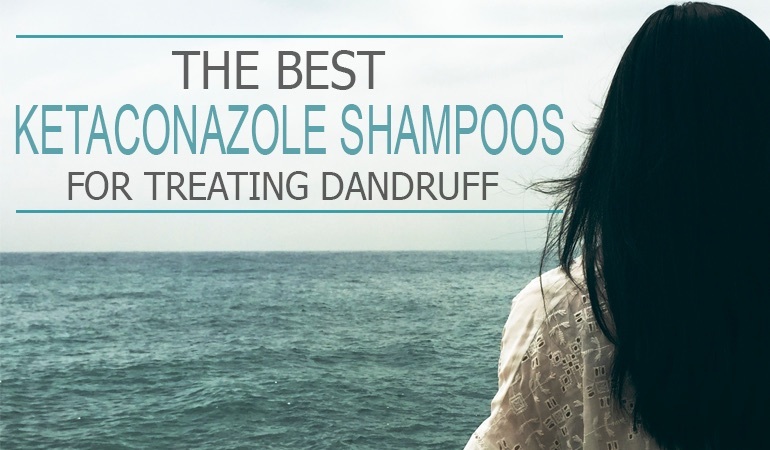 Here we list the best Ketoconazole dandruff shampoos on the market today. The Ketozal 2% anti-dandruff shampoo would be very effective for severe cases of seb derm and dandruff. A generic of doctor prescribed 2% ketoconazole shampoos, Ketozal 2% is cheaper and arguably (although not clinically proven) as effective. This is the caveat of all generic medicines. A great stand-by for severe dandruff and seb derm flares. Pro-tip: You’ll probably need conditioner on hand. Your best option in the fight against moderate to severe cases of dandruff and seborrheic dermatitis is a 2% Ketoconazole shampoo. It’s recommended by pharmacists and sometimes also prescribed by doctors. Ket Med shampoo is an OTC alternative in many countries (and available on eBay in others). 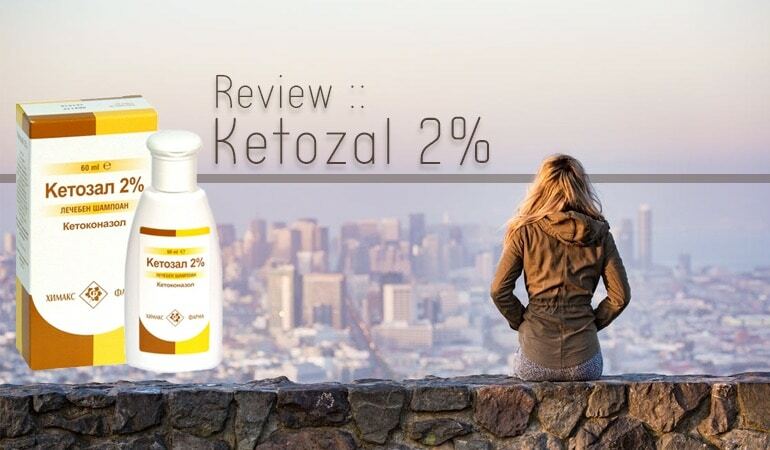 Its 2% Ketoconazole formula promises to be effective and preventative. However there’s one word of warning, it is not designed for the most allergy prone scalps. Boots are a UK retail pharmacist similar to Walgreens or CVS in the USA. Walgreens and Boots are actually strategic partners (whatever that actually means). Boots have developed their own 2% Ketoconazole shampoo which is a cheaper alternative to Nizoral. Although it does contain a number of harsh ingredients, it’s definitely worth a look if you want a cheaper alternative. Expect a review in the coming months. Sebizole is another 2% ketoconazole shampoo available in Australia and New Zealand. I have to admit, I don’t know much about this shampoo yet as I haven’t yet reviewed it. The ingredients are Sodium laureth sulfate, Cocamide DEA, sodium lauryl sarcosinate, PEG -150 distearate, hydrochloric acid, Germall II (preservative), Herb Flower fragrance, erythrosine sodium, purified water. When I get my hands on a bottle expect a review! Thanks to Sam in the comments below for those ingredients. Much appreciated! If you can’t find the shampoo you’re looking for, chances are we’ve already reviewed it. If not, please let us know in the comments below which shampoos you’d like us to take a look at! Faergemann, J., Borgers, M., & Degreef, H. (2007). A new ketoconazole topical gel formulation in seborrhoeic dermatitis: an updated review of the mechanism. Expert opinion on Pharmacotherapy, 8(9), 1365-1371. Gupta, A. K., Daigle, D., & Foley, K. A. (2015). Drug safety assessment of oral formulations of ketoconazole. Expert Opinion on Drug Safety, 14(2), 325-334. Van Cutsem, J. (1983). The antifungal activity of ketoconazole. The American journal of medicine, 74(1), 9-15. Farr, P. M., Marks, J., Krause, L. B., & Shuster, S. (1985). Response of scalp psoriasis to oral ketoconazole. The Lancet, 326(8461), 921-922. Chaijan MR1, Handjani F2, Zarshenas M3, Rahimabadi MS4, Tavakkoli A1. (2018) The myrtus communis L. solution versus ketoconazole shampoo in treatment of dandruff: A double blinded randomized clinical trial. Hi Chris, on the Sebizole ingredients- Sodium laureth sulfate, Cocamide DEA, sodium lauryl sarcosinate, PEG -150 distearate, hydrochloric acid, Germall II (preservative), Herb Flower fragrance, erythrosine sodium, purified water. I’ve just noticed this Sam – thank you so much for that! This reply got lost in the ether somewhere and it’s just now I’ve found it as I was rewriting a portion of the page. The Boots shampoo appears to not be available anymore- shame as it was as good as Nizoral and cheaper. Thanks for letting me know Keith! And what a shame. We’re going to be reviewing a number of ketoconazole shampoos in the coming months so watch this space. Hi Chris, I had Seborrheic Dermatitis on my forehead about 5 months and it is going to spread out around my eyebrows. Can I use ketoconazole cream for the treatment and which cream do you recommend me? Thank you. My dermatologist gave me an Rx for it and I apply mostly on my face. I do put in around and in my eyebrows. I\’m just careful not to get it in my eyes. Works well. The doc said that there are OTC products that have the same ingredients as the Rx and that I can use them also. The difference in price at my pharmacy is negligible so I\’m getting refills until the Rx runs out. I’m curious for new shampoos from last year.